I Am A Huge Photo Fanatic! I Love Having Pictures Taken Of My Family But I Also Enjoy Taking Pictures Of My Children & Sharing Them With Family & Friends! 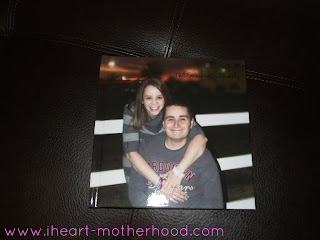 I Have Used MailPix Before To Order My Christmas Cards In 2012, I Absolutely Loved Them, So I Couldn't Wait To Order My 8x8 Custom Photo Book! 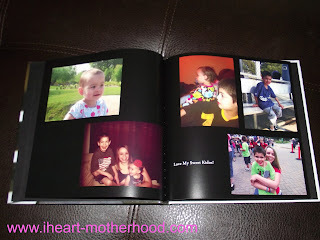 MailPix Has Everything You Need To Create Memories With Your Photos From Brag Books, Canvas Prints & Even iPad Cases, You Will Find Something For Every Occasion! I Really Love My Custom Photo Book! The Website Was Easy To Use, I Just Uploaded The Images I Wanted To Use & Then You Can Design Each Page, Even Add Text! It Also Has A Hard Cover, So You Can Display It On A Book Shelf Or Your Kitchen Counter! This Would Make A Beautiful Gift For Someone Special! Buy It: Create Your Own Items Online At Mailpix! Win It: One Lucky Reader Will Win A 8.5x11 Linen Cover Photo Book!